I purchased a Rohrer & Klingner glass dip pen and thought I would test it out on the lastest. For those that don’t know, Ink Drop is a subscription service through The Goulet Pen Company (no affiliation) that consists of monthly shipments of 5 ink samples. Each shipment is $10. It’s a great way to try ink without making a full commitment to an entire bottle. More than once I have paid $10+ for a bottle and ended up hating it. Last month I bought J. Herbin Gris Nuage and I know I wont be using it again…no idea why I thought a grey ink would be appealing. 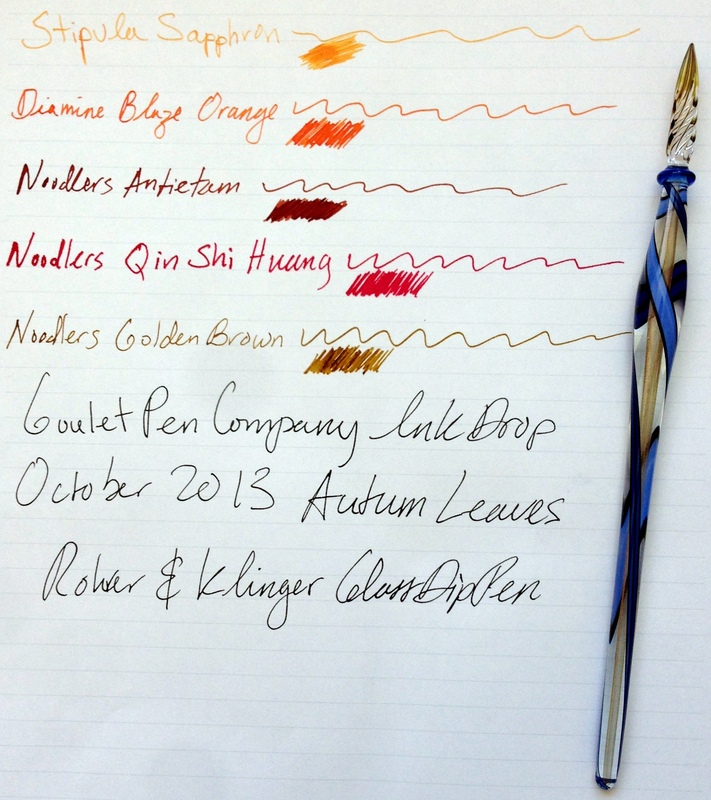 The Noodlers Qin Shi Huang and Noodler’s Antietam are my favorites. You can read my full review of Antietam here and Qin Shi Huang here.